Finance solutions that won't leave you on hold. For business finance that lets you upgrade to the right telephone system, all it takes is a phone call. Talk to Fidelity Finance Group about our telephone system rental and PABX leasing solutions. When you deal with Fidelity Finance Group, you get to talk to a business finance specialist one on one, without being left in queues. Which is why small to medium businesses find us a breath of fresh air compared with the banks. So if you have a telephone upgrade in mind, get an application in place with Fidelity Finance Group for the amount you anticipate the system to cost. We'll come out, get to know your business and understand how the new system can open up new communication opportunities for your business. Then we'll source the business finance in from over 20 lenders. Our dedicated rental division can also offer telephone system rental solution that will allow you to keep up with the newer technologies as they come to market, while offering a state-of-the-art solution right now. Receive dedicated personalised service from a business finance specialist. 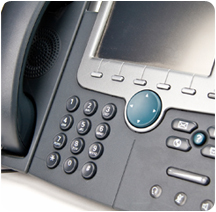 We pay the supplier, you get the telephone system installed, it can be as easy as that. Complete a Telephone System Finance application now, without obligation, click here. Or phone +61 (2) 9212 0799 to talk with one of our business loans experts.